Peter Raven is no longer just a young man ready to go out in the world; now he is a new officer in the Royal Navy and there is a job to be done. He soon discovers that things are going to be much more complicated than he ever imagined when he meets a man called Commodore Beaumont. It would appear that Beaumont is a spy who is working to undermine Napoleon Bonaparte's plans for the world. 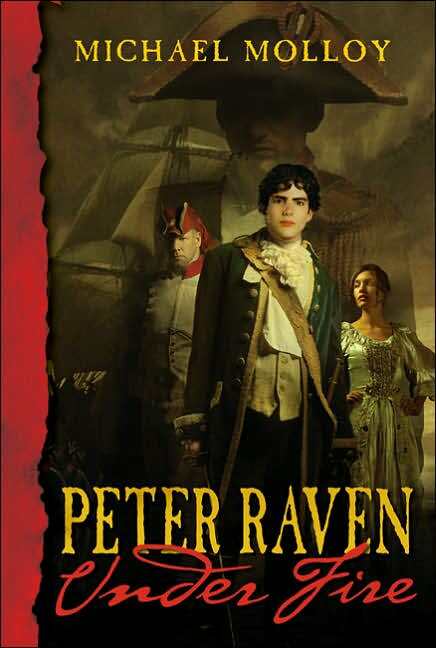 With Peter as his aide Beaumont learns that Napoleon has recruited a truly dreadful man to help him achieve his goals. Little more than an insane pirate with sophisticated tastes, Count Vallon is an enemy to be feared. When Peter's ship is attacked by Vallon, Peter swears that he will be avenged on the count no matter what. Lucy Cosgrove is a wilful young American woman whose grandmother despairs of her. In an effort to refine her granddaughter Lucy's grandmother takes the girl to Paris. It is in this world of beautiful clothes, balls and parties that Lucy meets both Count Vallon and Commodore Beaumont. Both men fall for the pretty vivacious young woman and neither of them can ever imagine that they are on a collision course which will mean the death of one of them. Perfectly paced, with rich and colourful characters, and full of gripping and unexpected events, this is a novel which will delight readers who enjoy tales of high adventure and action on the high seas. This is the first book in what promises to be an exciting series.